Let me set the scene. It’s a gorgeous Gambier day, and my friends and I congregate on the portion of Middle Path directly across from the Village Market. I would characterize the mood as nervous with anticipation. For all but one of us, this is uncharted territory. So, on we go. Four market dogs are purchased at the back counter for five naïve sophomores to consume. I order mine with the timeless classic topping of ketchup, while Tariq opts for a ketchup-mustard-onion combo. Hannah and Julia share a dog decorated in ketchup and onions, while Chris orders one slathered with both ketchup and mustard. We pay at the front, the total racking up to a highly affordable $3. I decide to bear the economic burden, because what am I if not generous. Returning to our sunny spot on Middle Path, we all stand awkwardly, trepidatiously opening the paper bags clearly labelled “HOT DOG,” y’know, in case we forgot what we’d done. Inside, cocooned inside a shell of white, waxy paper, lies the majestic dog in all its glory. “It’s a weird color,” notes non-vegetarian Hannah Spector. “That’s a lot of onions, brother,” says Tariq anxiously as onions begin to fall out of his dog’s bun. Once exposed to the elements, it becomes clear that my dog is pretty underwhelming. A slightly greenish tinge haunts the flaccid, potentially undercooked carcass. The ketchup I ordered has been squirted in a straight line directly to the side of the dog, between meat and bun. Boy, am I excited. And then comes arguably the most anticlimactic experience of my Kenyon career. The first bite. I open. I chomp. I chew. I taste all 75 cents of the market dog as it grazes my taste buds. And then it’s over. 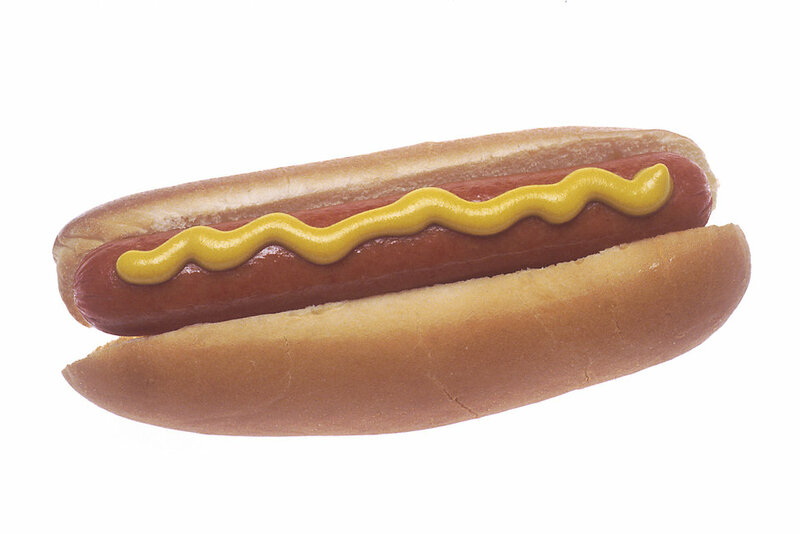 “Oh, it’s just a hot dog,” someone says. And they were right. So here’s how we’d rate our market dog experiences, lest you try to embark on one of your own (reader, I beseech you: don’t). I asked my accomplices to rank the dog on a 1 to 5 hot dog emoji scale, and to saturate their review with comments. And they did not disappoint. As for myself? Well, I’ve gotta be honest. Did it live up to the lore surrounding it? No. Did it provide invigorating flavor or texture? Also no. Did it even fill me? You guessed it: no. It was, in fact, just a very reasonably priced hot dog. Well, one that didn’t make me feel too hot. That being said, walking to Peirce with my equally queasy pals, I realized the market dog experience is all about who you spend it with. Maybe the real market dogs were the friends we made along the way.